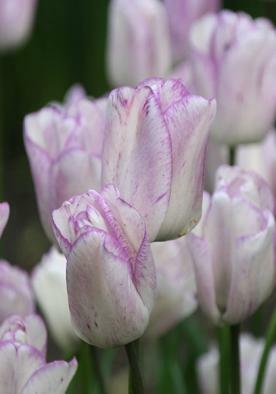 An Ivory white flower with a soft purple edging and soft spots of the same colour, Shirley is a Mid Season Tulip. 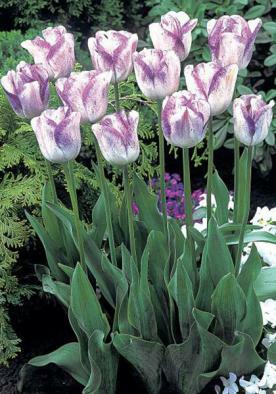 As a form these Tulips are some of the most suitable for exposed positions due to their robust nature and resistance to adverse weather. 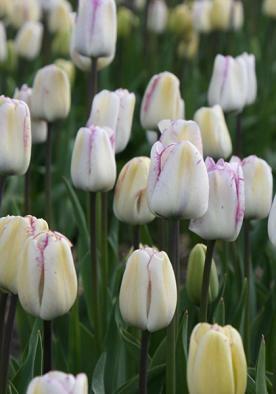 As their name suggests they flower between April and May in the middle of the season which helps keeps colour going in the garden when planted with early flowering Tulips. Shirley will grow to 50cm.